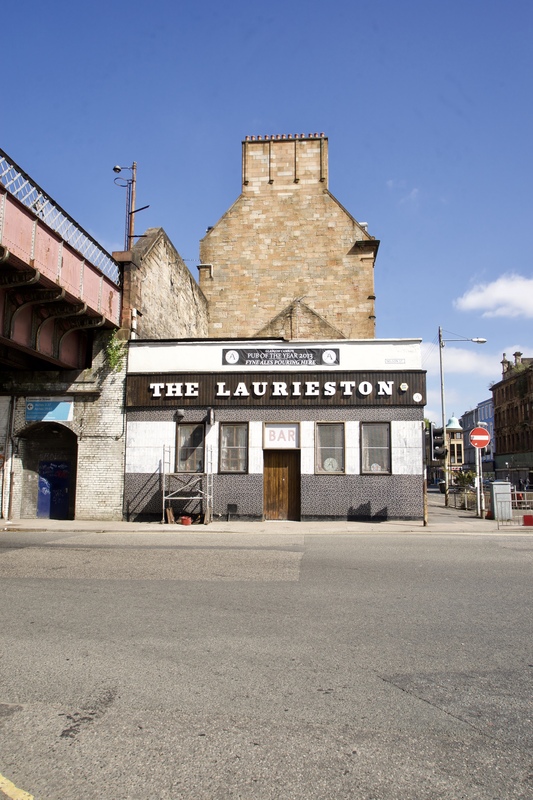 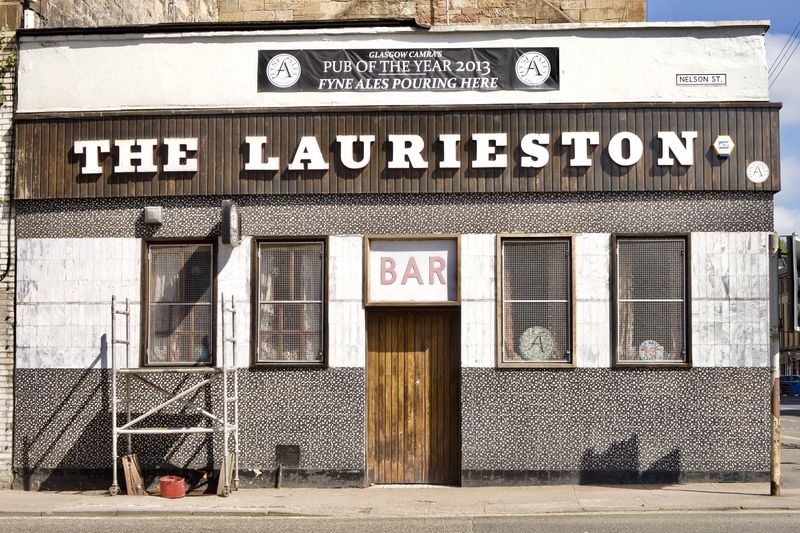 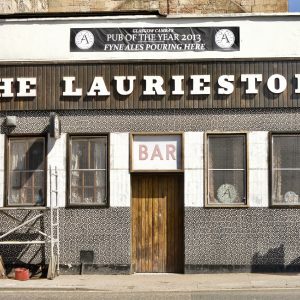 This fantastic signage in Bridge Street Glasgow belongs to the Lauieston pub, this slab serif sign dates back to the 60’s as does the tiles on the out side of the building. 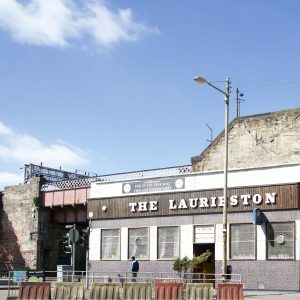 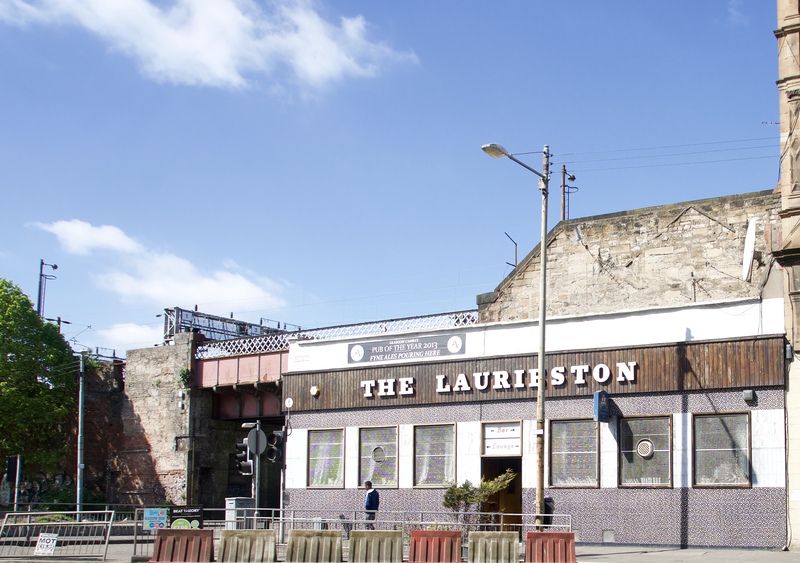 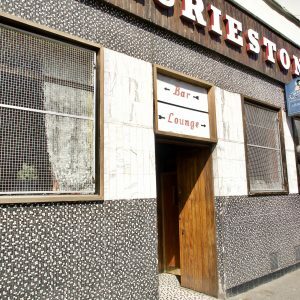 The place has been a public house since 1836 and run as a pub by Robert Graham and Sons since 1865 who also had many businesses around the city of Glasgow at the time. 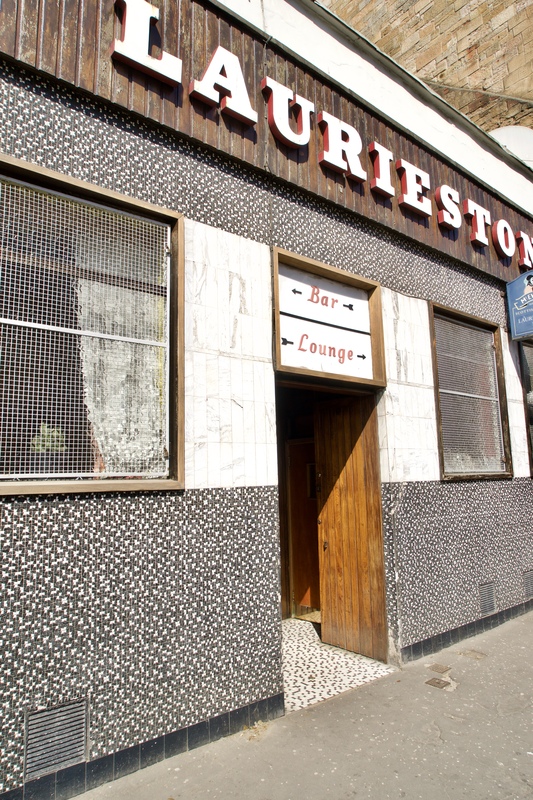 The interior of the bar is a step back in time to the 60’s almost untouched feel. 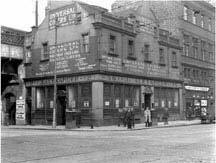 Here is a photo of what the Pub looked like before the 60’s makeover, there are more photos inside the pub itself.